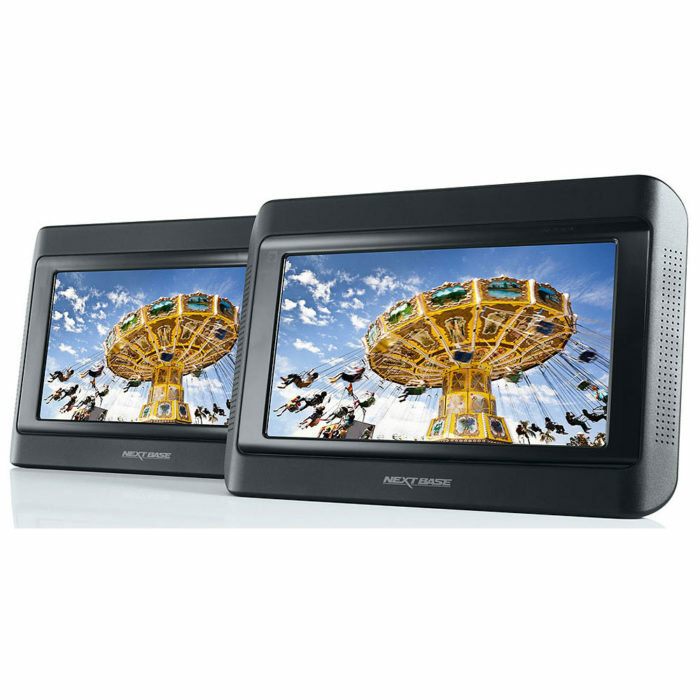 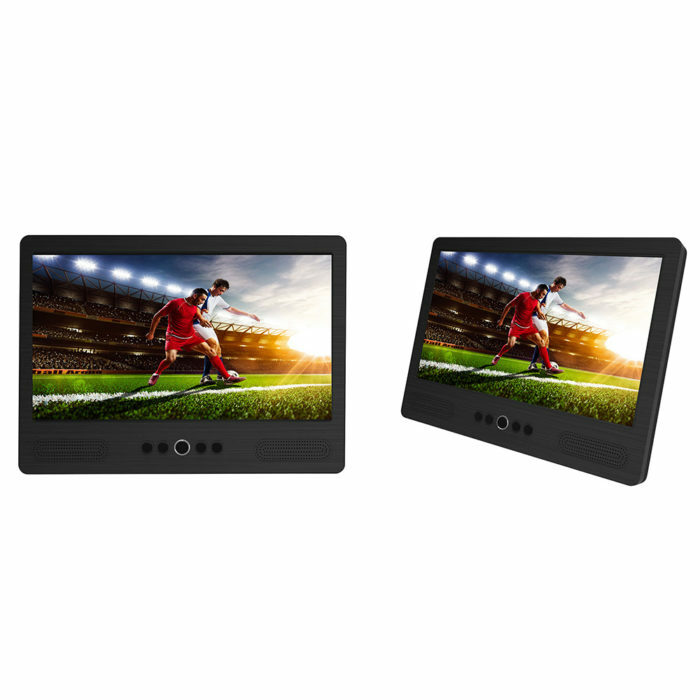 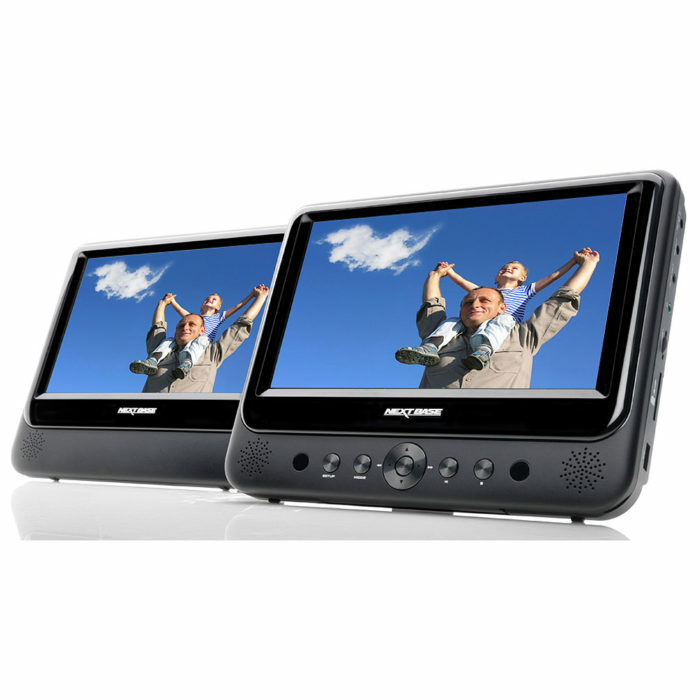 What is a dual screen portable DVD player?This is a set where one movie can be played across both screens only. 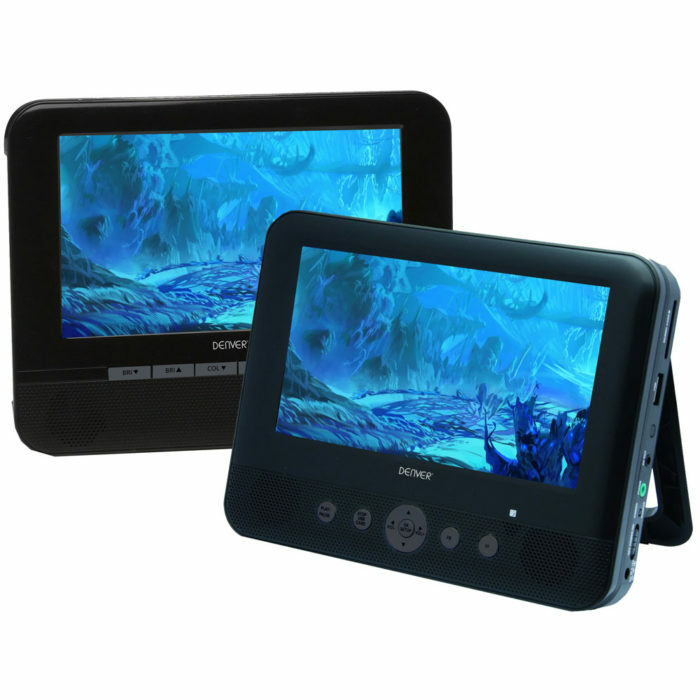 These packs would contain one portable DVD and one slave screen. 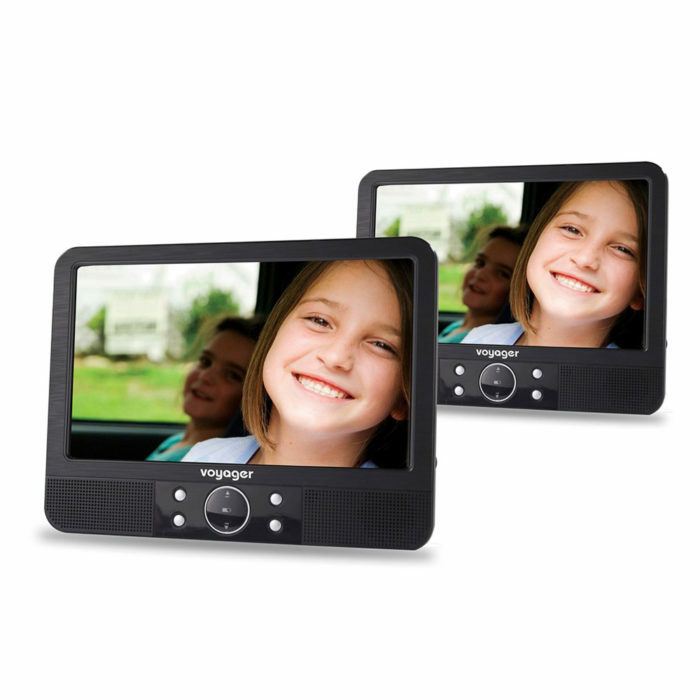 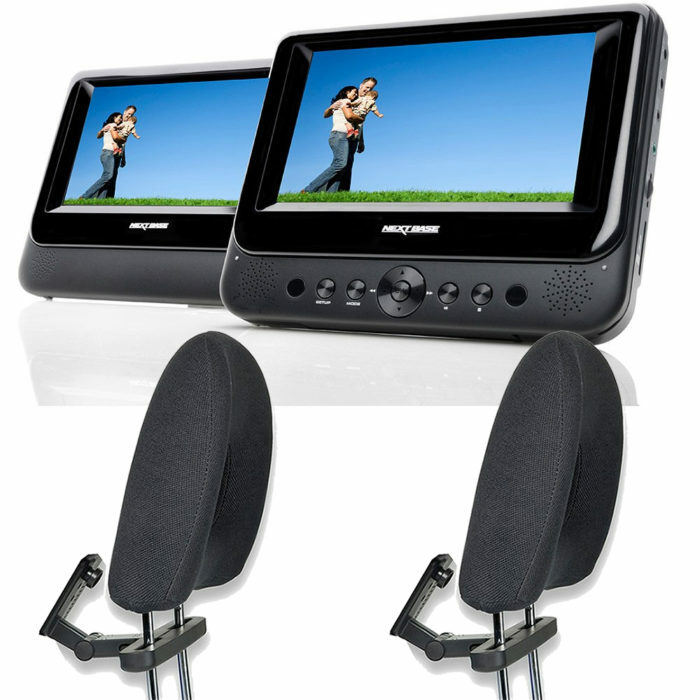 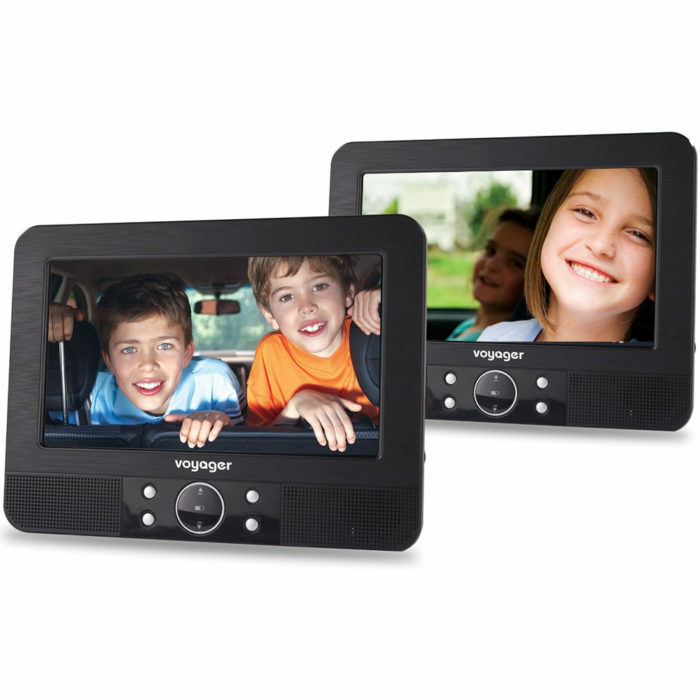 These are a popular solution for in car where there are 2 or more children to be kept entertained and helps to minimise cost when comparing these to twin DVD player sets (i.e. 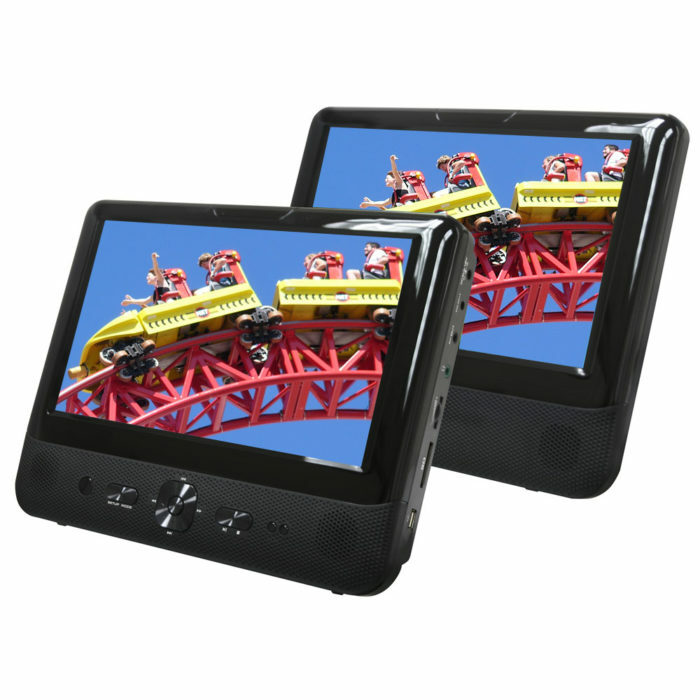 those that contain 2 portable DVD players, where each screen can also play its own movie).